When choosing patio pavers, you want something stylish that also complements the architectural style of your home and its landscape design. But you also want to consider the strength of your patio design. After all, patio pavers endure a lot throughout each season — harsh weather, sun exposure, foot traffic and snow. Is it possible to achieve both? With the right choice of products, the answer is yes. 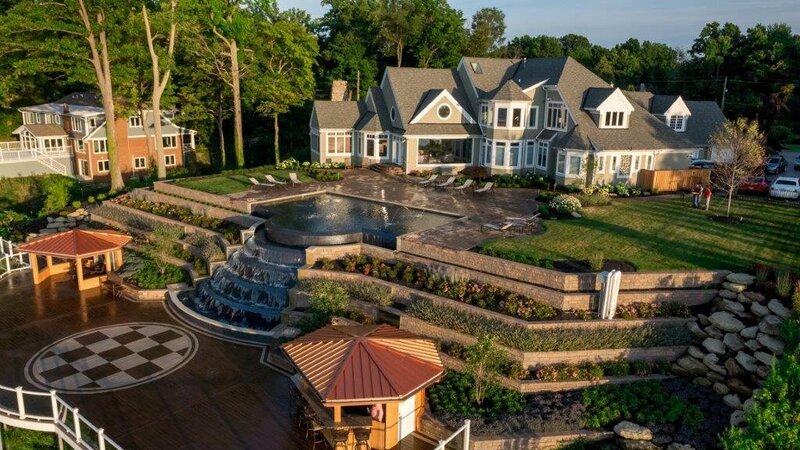 That’s where Unilock pavers come into the mix. These products let you enhance the look of your outdoor living space with the confidence of a lifetime guarantee. 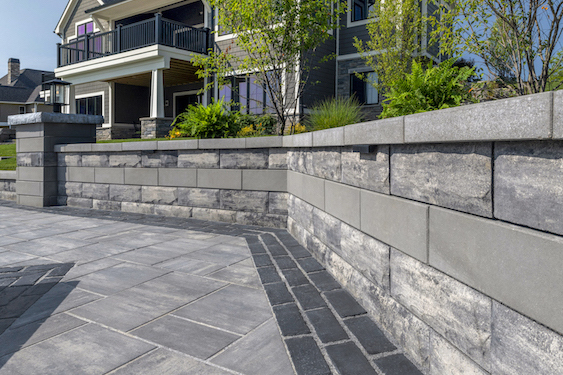 Protecting patio pavers against cracks and harsh conditions starts with high-quality materials. Unilock combines these elements with exclusive manufacturing technologies for the best product. This results in a structural behavior that not only preserves the look, but also the feel of Unilock pavers over time. Let’s first consider the texture of patio pavers. When exposed to harsh elements and exceptional loads, the surface layer of patio pavers can change. This can translate into a shift from smooth to rough or even cracks or expansion in some cases. In the face of weathering and sunlight, patio pavers also run the risk of color fading. As the surface of a paver wears down, the aggregates that help give the product strength can be exposed and make it appear discolored. With Unilock patio pavers, both of these issues become a thing of the past. For 20 years, Unilock has manufactured products with EnduraColor™ and EnduraColor™ Plus features. Manufactured in a two-step process, these products combine a strong foundation of coarse aggregates with concentrated color and wear-resistant fine aggregates placed on top. The color surface treatments, combined with low porosity, makes Unilock patio pavers more color stable and better protects them against weathering and salt erosion. It’s also worth mentioning the ease with which Unilock pavers can be cleaned. 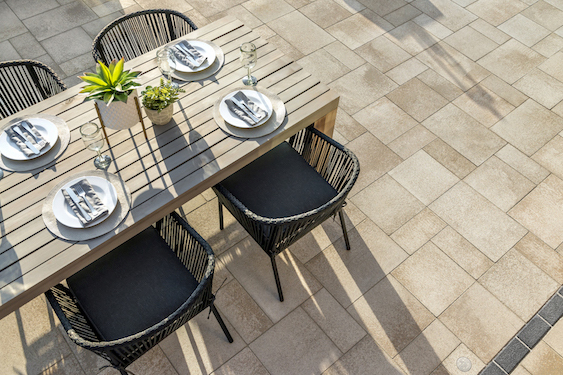 After all, patio pavers are bound to encounter food and chemical spills when used on a regular basis. 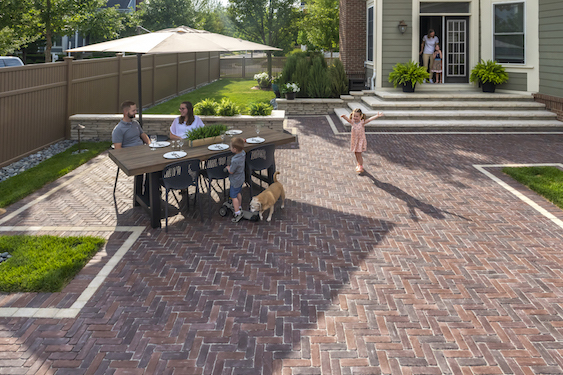 While naturally resistant to stains, many Unilock pavers are armed with stain resistant technologies like the EasyClean™ Stain Resistance Technology that make cleanup even easier. At Green Impressions, we work with Unilock pavers to help Northeast Ohio homeowners unlock new design possibilities. If you’re ready to bring your dream patio design to life, contact us today for a free consultation.